Ema, Oska and Ron -- three brown bear cubs thought to be siblings -- have swiftly taken to their new home in a bear sanctuary. 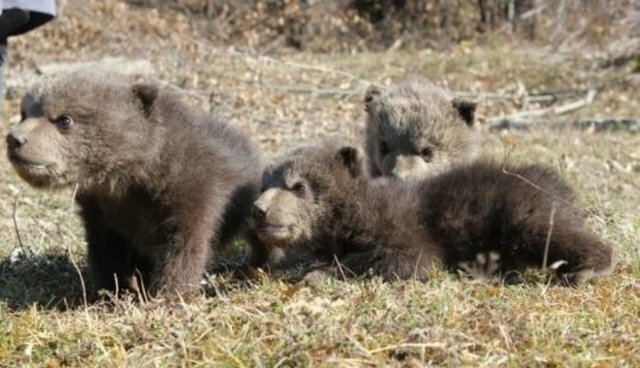 In March, rescuers saved these little bears from private houses in Kosovo, and now they're experiencing nature for the first time in months. "The cubs were stressed upon arrival but are recovering well," said Afrim Mehmeti, manager of the bear sanctuary. 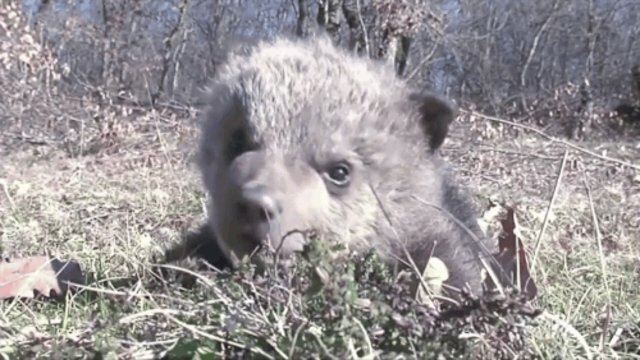 Animal activists spotted photos of the captive cubs on Facebook, tipping off authorities who recovered the bears from two houses in Peja, Kosovo. 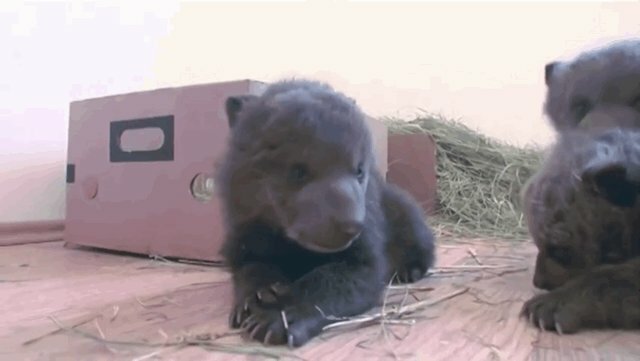 The rescue group Four Paws International welcomed the bears to its sanctuary, where the cubs are preparing for a return to the wild. The bears have transitioned to a forested space, but it could take more than a year before they're ready to strike out into the wilderness on their own. It's not the first time Four Paws has taken in Kosovo's captive brown bears. In 2013, two 10-year old bears were rescued from a restaurant as police restrained angry proprietors, the AP reports. Due to fragmenting habitats, local populations of brown bears are shrinking across Southeastern Europe. In 2010, Four Paws established Bear Sanctuary Prishtina after Kosovo outlawed private ownership of brown bears.